Economics is a social science that studies the behaviour and interactions of economic agents and analyses how economies work at the macro- and micro-levels. It studies production, distribution and consumption of goods and services, identifies economic problems and phenomena, and addresses economic questions from a positive perspective (what is) as well as a normative (how it should be) perspective. 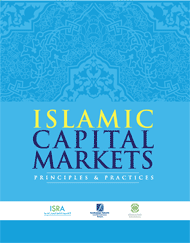 Islamic economics examines the same areas as its conventional counterpart. However, it involves the application of Sharīʿah to the different economic functions and issues. It is postulated that Islam offers a better approach compared to conventional economics in managing economic activities and solving economic and social issues. The development of modern Islamic economic thought started as a religious, intellectual and epistemological reaction to the Western penetration of the Islamic world, particularly in the mid-19th century. It was then that several Western countries established their banks within the Muslim world to support their commercial activities. The penetration of banks based on ribā (interest) and adopting the Western-style monetary system led to the early discussion of an Islamic economic system. In the mid-20th century, the opponents of ribā sought to identify the essential characteristics of an Islamic economic system that could serve as an alternative to the dominant Western system. By the 1970s, several remarkable works on Islamic economics and its system had been written by Muslim economists and jurists. Attempts were made to conceptually discuss the philosophical foundations of an Islamic economic system in a comparative manner while seeking solutions to the development needs of the ummah (Muslim nation). Despite commendable attempts, such works were scattered in different outlets, focused on certain aspects and ignored other areas, or lacked contemporary perspectives on current economic issues. By the mid-1980s, the emergence of the Islamic banking industry led to a shift in attention given to the financial sector to resolve socio-economic needs and develop an alternative to interest-based banking and finance. Consequently, fewer resources—both financial and human—went into researching more theoretical and practical dimensions of Islamic economics. A dichotomy resulted between the theoretical literature of Islamic economics and the course taken by the practical field of Islamic banking and finance. Islamic economics discourse thus failed to inform and guide the development of contemporary Islamic banking and finance. With the impressive emergence of Islamic finance as a branch of Islamic economics, the need for a solid knowledge base that encompasses theories, thoughts and applications related to the subject increased in importance. However, writing about Islamic economics is a great challenge due to the differences in opinion on many of its issues. This includes methodologies for determining the Islamic perspective on economic concepts and issues as well as applicable solutions for today’s economic and social problems. 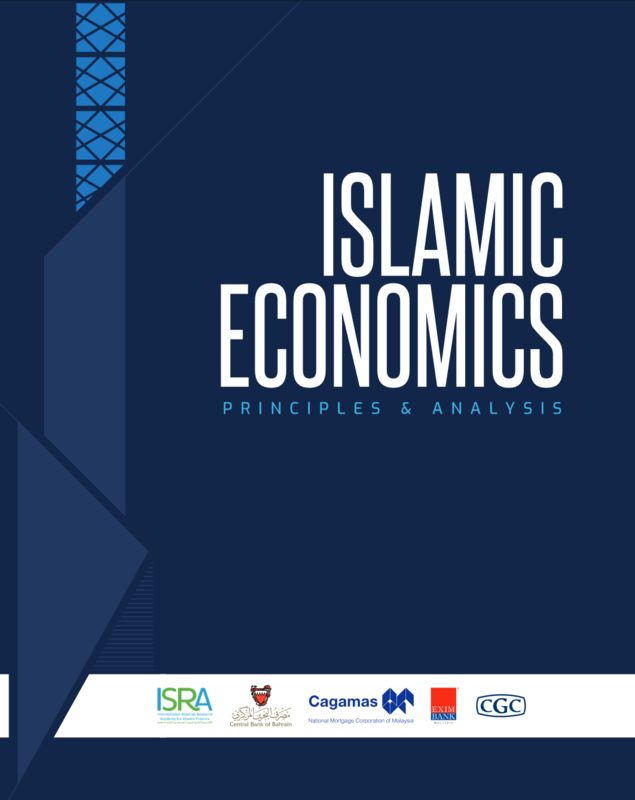 It is further argued that Islamic economics topics are not as clear as those in conventional economics as they have their own religious, spiritual and social dimensions. The points of controversy have generated lengthy discussions. Moreover, Islamic economics encompasses a vast array of topics and approaches, from the purely theoretical, which may include philosophy or religious ideas, to mathematical and quantitative analyses. We tried our best throughout this textbook to simplify, clarify and summarise these concepts to make them accessible to all readers including students, practitioners, academics and even interested non-specialists. This textbook presents, discusses and analyses various topics and issues related to Islamic economics ranging from philosophical, epistemological and methodological to microeconomic and macroeconomic perspectives. In this endeavour, the social aspect of Islamic economics―an essential part of the discipline―is not neglected. The textbook compares Islamic ideas and concepts related to economics with those in conventional economics to highlight Islamic economics as a distinct field of knowledge with an emphasis on the ethical and social aspects. The authors have tried their level best to explain the theoretical concepts as simply as possible without ignoring today’s realities and without compromising Sharīʿah principles and objectives. One of the main objectives of the book is to provide the reader with Islamic economic ideas and solutions that are realistic and applicable within the current highly globalised economic and business environment, which is largely dominated by conventional interest-based systems and institutions. Despite being written for an elementary-level audience, this textbook can also be beneficial to a wide range of specialist and non-specialist readers and seekers of knowledge. For those specialising in Islamic economics, it is an appropriate source of reference to gain an overview on different topics relating to the foundations of Islamic economics. At this point, however, it must be mentioned that each topic deliberated upon, by its nature, would require a book on its own to cover all its aspects. Therefore, further exploration is required for Islamic economics specialists. A list of references and recommended readings is provided for that purpose at the end of each chapter. 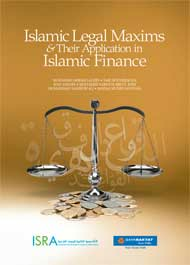 On the other hand, students of mainstream economics, finance and other academic majors will find this textbook an excellent resource for comprehensive knowledge of Islamic economics and its related issues. Universities may benefit from the different topics presented in this textbook in designing or preparing their economics courses at different levels based on their own curriculums and classes. 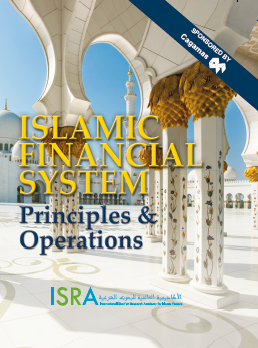 This textbook could be used at the undergraduate level or even for a master’s level economics or Islamic economics course, especially in an Islamic banking and finance programme or for an MBA having a specialisation in Islamic banking and finance where an economics/Islamic economics course is offered. Furthermore, practitioners and interested readers who are seeking essential and simple knowledge about Islamic economics will also find this textbook as a helpful guide. It is important to mention here that Islamic economics literature shows wide differences among the scholars in almost every subtopic. Presenting all opinions within a limited number of pages is almost impossible. However, with the great contribution of more than 60 scholars from a wide-span of countries and from various economic schools, this book represents an important attempt to present the topics and issues from various perspectives with the maximum objectivity possible. Through comprehensive content editing, the editors have striven to improve the flow of arguments, remove inconsistencies and put the ideas together in as coherent a manner as possible. However, the editors acknowledge that some biases and overlaps may still persist. 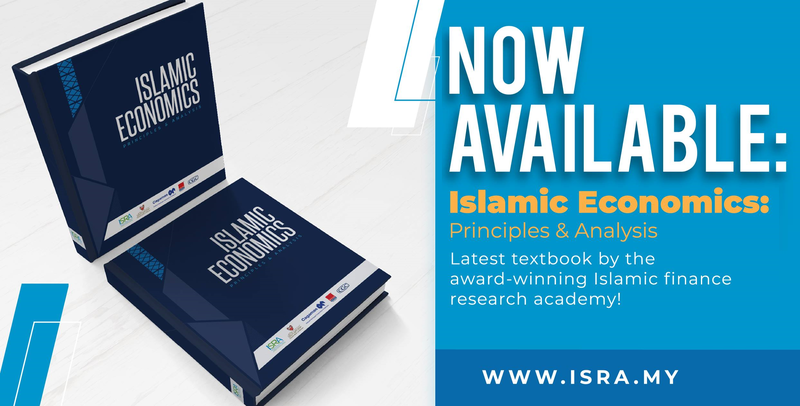 Part 1 equips the reader with the basic theoretical framework of Islamic economics including the Islamic world view (Chapter 1) and the nature, scope and methodology of Islamic economics (Chapter 2). Detailed information is also presented about the process of building Islamic economics theory, a topic that might not be covered in other elementary textbooks (Chapter 3). Part 1 also sheds light on the significant role of ethics and values in economics (Chapter 4) and reviews the different economic systems to enable the reader to distinguish between an Islamic economic system and conventional systems (Chapter 5). Part 2 discusses topics related to microeconomics. It first provides an overview of microeconomics from an Islamic perspective (Chapter 6). It then explains about consumption, production and distribution in Islamic economics (Chapters 7, 8 and 9 respectively). Part 2 also discusses the market structure in detail (Chapter 10). Part 3 focuses on issues related to macroeconomics. It first introduces macroeconomics from an Islamic perspective (Chapter 11). Then, it discusses the concept of national output, its measurement approaches and their validity (Chapter 12). It further explains about aggregate demand and supply, discussing briefly the two prevailing schools of economics, the Classical and the Keynesian, and their relevance to Islamic economics (Chapter 13). Contemporary fiscal policies, which pertain to government revenue and expenditure, are also delineated (Chapter 14). In addition, topics related to monetary economics are highlighted including the concept of money, its types and monetary policies (Chapter 15). Part 3 concludes with information about international trade theories and the Islamic perspective on them (Chapter 16). Part 4 is dedicated to a discussion of the financial system. Contemporary conventional financial systems are critically analysed (Chapter 17). Then, the Islamic financial system as an alternative is presented (Chapter 18). Part 4 further discusses the social aspect of Islamic economics, explaining the concept of social economy and its institutions (Chapter 19). Part 5 encapsulates two pertinent issues surrounding contemporary Islamic economics: economic development and globalisation (Chapter 20). The last chapter deliberates on the challenges confronting Islamic economics (Chapter 21).